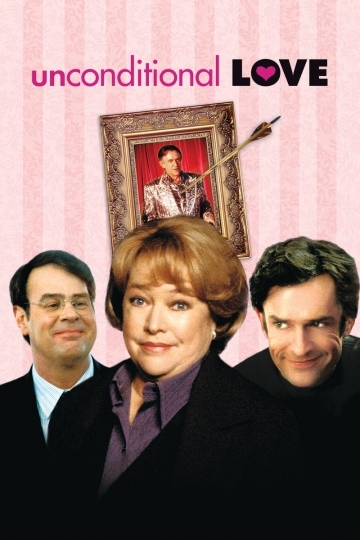 When Grace Beasley's (Academy Award-winner Kathy Bates - MISERY, ABOUT SCHMIDT) husband (Academy Award-nominee Dan Aykroyd - GHOSTBUSTERS, THE BLUES BROTHERS) leaves her, she travels to Chicago for a concert by the one man she has adored for years, Welsh singing star Victor Fox. But when Fox is murdered by a serial killer known as The Crossbow Killer, a devastated Beasley travels to London for Fox's funeral. There she encounters Dirk Simpson (Golden Globe-nominee Rupert Everett - MY BEST FRIEND'S WEDDING, THE NEXT BEST THING), who has secretly been Fox's lover for twenty years. Now, these two damaged people with nothing in common other than their love for Fox travel to Chicago -- determined to bring his murderer to justice. Unconditional Love is currently available to watch and stream, buy on demand at Amazon, Vudu, Google Play, iTunes, YouTube VOD online.